Burnley’s defeat at Bristol City two days ago in the Professional Development League has left us our under-23s in third place in the table, but that result enabled Leeds United the opportunity to win the northern group later that day and it was one they took. Leeds won 2-0 at Colchester in an evening kick off and it has taken them eleven points clear of Birmingham, us and Bolton with none of us now able to catch them. Birmingham and ourselves have three games remaining while Bolton have just two to play while Crewe are the only other team able to claim a top two finish; they have one less point. Ipswich have all but joined Leeds with the south group title. They currently have a lead of eight points over Crystal Palace with both sides having three games to play which leaves Ipswich, with their much superior goal difference, needing no more than one point to ensure finishing in first place. Coventry, with a game in hand, are three points behind Palace and it is almost certain one of those two will take the runners-up play-off place. Coventry are the only team to play in the next week; they have two games to try and get clear of Palace. There are just five re-arranged fixtures as it takes a back seat for the Premier League Cup quarter-finals. The Everton v Sunderland game postponed in the last round, will be played on Friday with Blackburn awaiting the winners. Two quarter finals will also be played this Friday, including ours against Leeds, with one on Monday. With our interest in that second place in the north group, it’s worth taking a look at the remaining fixtures for each of the teams who are in the running. The player featured this week is goalkeeper Aidan Stone. 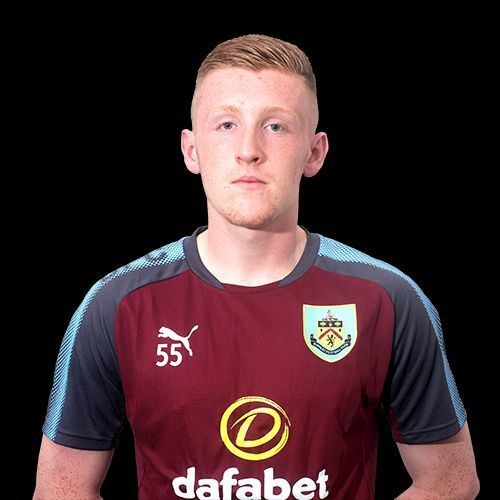 He spent the first half of the season out on loan at Lancaster but has played a number of under-23 games since returning in January. The League Tables are updated as results are confirmed and are alongside our Fixtures and Results within U23/U18 Stats on the top menu. Last week’s results, this week’s fixtures, the leading goalscorers, our goalscorers and the current tables are all below.